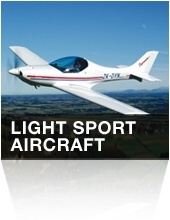 With 24 years experience in the market TL elektronic has become one of the most recognised names in the field of Light Sport and Experimental aviation. This non-certified category of avionics provides the user with an exciting, innovative, cutting edge range of products giving pilots a barrier free line of avionics that have all the capabilities and reliability of certified instruments at a fraction of the price. Our company has established strong cooperation across the Europe with all major global world players in the field of aviation technologies for Light Sport and Experimental aircraft.